263 million children are currently missing out on an education. That’s 263 million who could have changed the world. World leaders have promised that by 2030, every child would have an education, but we’re not set to achieve this until 2084. This is over 50 YEARS to late. This year Priti Patel is making the decision as to whether we boost our funding towards foreign education. Money is the missing piece of the puzzle. There is currently a 39 BILLION dollar gap in finance to achieve global education. 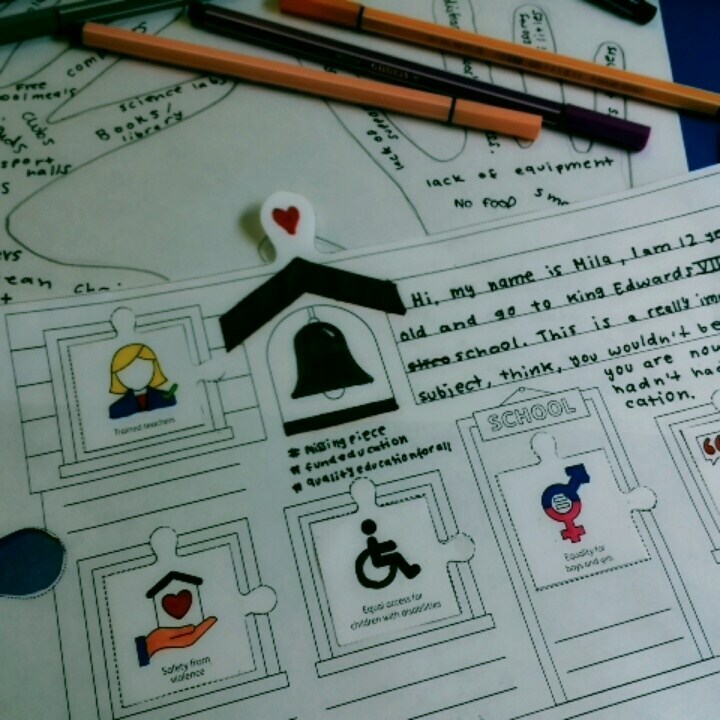 Students at KES have started to make their jigsaw pieces to demonstrate that funding is the missing piece of the puzzle. Amy Range and Ellen Withington are going to deliver the jigsaw pieces directly to the government on 12th July.